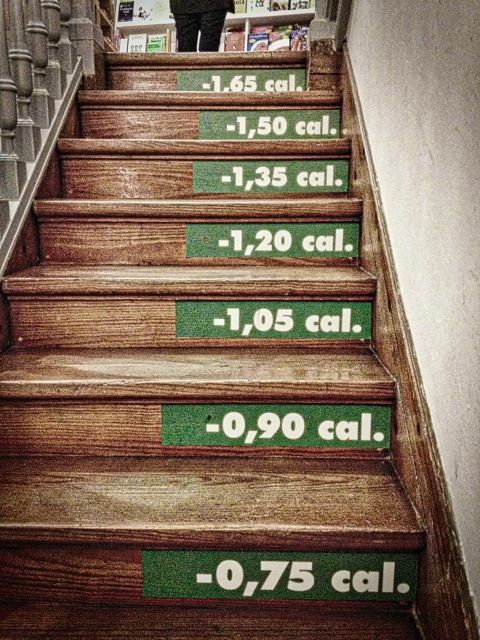 I’ve seen many interesting uses of labels over the years and read with interest a recent news story in the Telegraph announcing that staircases will be labelled with calorie-counting signs designed to boost exercise amongst office workers. One or two stairs to go before you burn off that Kit Kat! Trials at three large office buildings found that signs advertising how many calories could be burnt by climbing a staircase increased the number of people using them by 29%. Incredibly really when you consider that a simple label can be responsible for promoting workers to engage in a better exercise regime. According to health experts, stair climbing is classed as “Vigorous” exercise, “burning more calories than jogging.” The scheme is based on behavioural economics or “Nudge Theory” and is aimed at gently influencing peoples habits helping strengthen their hearts through exercise. 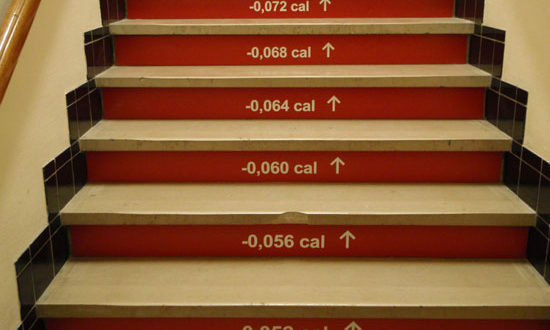 The new scheme will see staircases labelled throughout the country with calorie totals and was developed by “Step Jockey” with a £50 million grant from the government. I for one think it’s a great idea and that’s not because we sell customisable labels online, but… you can design your “Staircase Labels” and get super fast delivery!